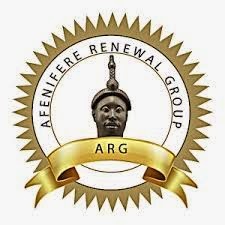 The pan-Yoruba socio-political association, Afenifere Renewal Group (ARG) has expressed its dissatisfaction on the February polls shift by the Independent National Electoral Commission (INEC) alleging the commission fell to “executive coercion”. The Group, in a press statement signed by its Publicity Secretary, Mr Kunle Famoriyo, stating the dangers in poll shift said “though the Independent National Electoral Commission (INEC) has exercised its constitutional powers in shifting the February polls, the Afenifere Renewal Group (ARG) considers the reason given for the postponement as “untenable”. 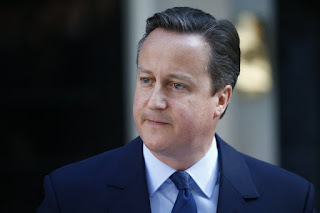 “Nigeria’s defence and security institutions have not convinced Nigerians that they have the capability to curb the Boko Haram insurgency and it remains to be seen that they now possess new tactics and intelligence on how to curb it. Therefore, it is difficult to see how a six-year menace will disappear in six weeks. “Indeed, the events of the past few weeks lend credence to a pervasive public opinion that INEC was coerced into its adopted position,” Afenifere stated. The group also stressed that Nigerians were not particularly surprised at the postponement adding that “many actually saw it coming. “There is no doubt an “executive coercion”, whose design and intent can only be to subjugate Nigeria’s premier democratic institution, and until the security chiefs are able to advance believable reasons and demonstrate renewed commitment to their constitutional duty, Nigerians will remain suspicious of a premeditated plan to subvert democratic process. “The public perception that the defence institutions are being used to forcefully gain partisan ambition is widening and the current administration as usual, appears not to give a damn,” the group added. It further explained that “In fact, security chiefs are helping to reinforce this perception, in the light of recent revelation on Ekiti state gubernatorial election, and it can only lead to truncation of democracy. “To worsen an already bad case, so much sacrifices are being demanded from Nigerians without commensurate sacrifice from the leadership cadre, as if Nigerians signed a master-slave contract with their leaders. ARG added further that to continue on the “path of impunity and blatant abuse of the democratic right of Nigerians, as the handlers of Nigerian state are doing is the foundation for injustice. “Yoruba people loathe such insensitivity and will always reject such leadership because you can delay the burial of a corpse, but the delay can never resurrect the corpse. “Yoruba Nation is not blind to the grave implications posed by the current pursuit of invidious personal agenda to the detriment of collective goodwill,” it stated. The group also explained that toying with issues that should be sacrosanct in a democratic process is a shove that would soon turn to push and that the Yoruba Nation would carefully consider its options for a desired peaceful and prosperous state. 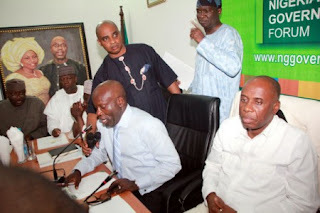 “We wish to warn those hell bent on scuttling our democracy to learn from history because, like they did in 2010 against the infamy known as “the cabal”, Nigerians will continue to resist dictatorial agenda of a few who seek to hold the nation hostage,” Afenifere Renewal Group stated.